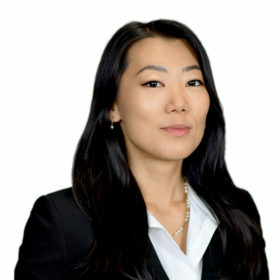 Winnie Chou, Senior Associate, joined Farol Asset Management, LP in 2018. She is responsible for all activities related to structuring, due diligence and monitoring of the firm’s investments. Previously, Ms. Chou was an Associate at ATL Partners where she sourced, diligenced, and structured new investment opportunities and actively managed portfolio investments in the fund’s targeted sectors: aerospace, transportation, and logistics. Prior to that, she was a Sr. Analyst at the Canadian federal pension fund, PSP Investments. She was part of the private equity group’s direct and co-investment team, working alongside the firm’s general partners to diligence and manage investment opportunities. Ms. Chou began her career as a Sr. Associate at a Canadian boutique investment banking firm, Loewen & Partners, advising clients in the lower middle market space. Ms. Chou earned a Bachelor of Commerce (Honours) degree from Queen’s University in Kingston, Ontario, Canada.